Crossings at Radburn combines the ease of suburban living with the convenience that the Radburn section of Fair Lawn has to offer. Crossings at Radburn is ideal for commuters working in Manhattan or employment hubs in neighboring Paramus, Newark, Secaucus and Parsippany-Troy Hills. Our consumer inspired designs offer the latest in smart home technology and quality construction. The life you want to live is waiting for you at Crossings at Radburn. Explore this community and see for yourself. Built for entertaining, the Mark features an open layout with a designer kitchen that leads into an inviting dining and living area. The Wright’s open layout is perfect for entertaining, featuring a chef-inspired kitchen with granite countertops and large center island. Crossings at Radburn puts you at the center of everything. Residents will enjoy the ease of weekday commutability via many major commuting corridors and the NJ transit station located just 1/8 of a mile from the community. Evenings and weekends can be spent enjoying the 23 acres of parks within historic Radburn, a shopping trip to Garden State Plaza or a night out in Manhattan. 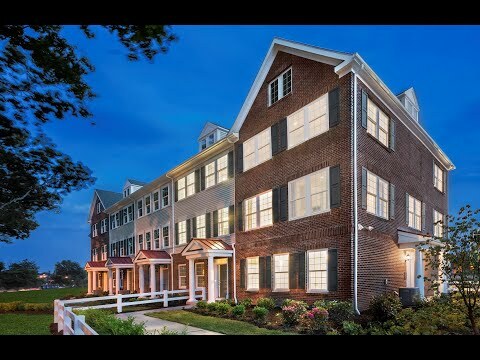 Our community will be located in the historic Radburn section of Fair Lawn. Radburn is an unincorporated planned community including 23 acres of interior parks, 4 tennis courts, multiple sports fields, 3 playgrounds, 2 swimming pools, and a community center. Residents all have access to all Bergen County has to offer including easy access to a number of commuting corridors, a 9,000 acre Bergen County Park system, a wide array of shopping destinations and several continuing education options. Located in the desirable Radburn section of Fair Lawn, your new Bergen County address awaits. Receive up to $5,000 towards closing costs when you partner with Pulte Mortgage at Pulte Homes. Radburn is the only place in Bergen County offering planned walkability to everything needed to live your lifestyle to the fullest. See for yourself in this community area map. Due to high demand, we have released a new building for sale. These homes will be ready for Summer, 2019 and there is still time to choose options. Schedule your tour today!